Would you like to add some silver stocks to your portfolio? This article is a good starting point from which to proceed with your research. Using commonly searched terms as a method of scouting the web I believe I have found the silver related stocks most written about by analysts. By far, the most recommended silver related stock on the web has been Silver Wheaton Corp. It seems like any analyst that is recommending silver shares has at least given "thumbs up" to Silver Wheaton. It may not always be that way but it is so at this time. Also, Pan American Silver Corp has been very popular among analysts over the years. Rounding out the top three, when it comes being mentioned in an articles, is Silvercorp Metals Inc.
Any of the above list are worthy of your consideration and research. Depending on the situation at the time you are researching, any one of these could be a winner. Here are some interesting facts about the members of this elite list which may help you decide which organization is most interesting to you. Is the largest U.S.-based primary silver producer and a growing gold producer. Currently has four producing mines: the San Bartolomé silver mine in Bolivia, the Palmarejo silver-gold mine in Mexico, the Kensington gold mine in Alaska and the Rochester silver-gold mine in Nevada. They won the "Responsible Business Distinction Award" for the fifth consecutive year in recognition of its demonstrated leadership excellence in corporate social responsibility, environmental stewardship and sustainability in Mexico. Is a mid-tier silver mining company focused on the growth of its silver production, reserves and resources in Mexico. Has posted at least eight consecutive years of growing silver production, reserves and resources. Has three producing silver mines in Mexico, the Guanaceví Mine in the state of Durango and the Bolañitos and El Cubo mines in the state of Guanajuato. Is a Canadian silver mining company that operates in Mexico. Owns five producing silver mines including the La Encantada Silver Mine, the La Parrilla Silver Mine, the San Martin Silver Mine, the La Guitarra Silver Mine and the Del Toro Silver Mine. The only mining company offering their own production in the form of silver bullion for sale. Is a Mexican-based company incorporated in the United Kingdom and headquarters are in Mexico City. Fresnillog PLC is the world's largest primary silver producer and the second largest gold producer in Mexico. 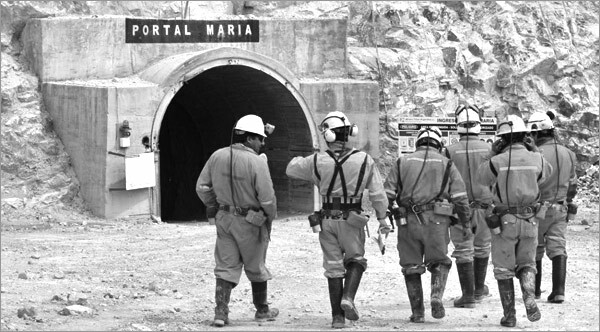 Has seven mines in operation in Mexico: Fresnillo, Saucito, Ciénega, San Ramón, Herradura, Soledad-Dipolos and Noche Buena. Is the second-largest primary silver mining company in the world. One of the most written about silver stocks on the web. Was founded in 1994 and has its head quarters in Vancouver, BC. It has seven operating silver mines in: Alamo Dorado (Mexico), Dolores mine(Mexico), La Colorada (Mexico), Huaron (Peru), Morococha (Peru), San Vicente (Bolivia) and Manantial Espejo (Argentina). Is the largest primary silver producer in the United States and one of the lowest-cost producers. Currently produces silver from two silver mines one in Admiralty Island, Alaska and the other in Mullan, Idaho. Has only one mine in operation, but it is the largest mine in Argentina: Pirquitas. Has 15 mines in development. The Vancouver, Canada based company was founded in 1946. Is the largest precious metals streaming company in the world. Arguably, one of the most written about silver stocks on the web. The company has thirteen long-term silver purchase agreements and two long-term precious metal purchase agreements. These agreements allow the company to purchase all or a portion of silver production at a low fixed cost from mines located in Mexico, the United States, Sweden, Peru, Chile, Greece, Argentina, and Portugal. Is a low-cost silver-producing Canadian mining company. According to its site has 5 producing mines: four silver-lead-zinc mines at the Ying Mining District in the Henan Province of China and the BYP gold-lead-zinc project, also in Hunan Province. The above silver stocks are a good starting point from which to add silver related shares to your well-diversified portfolio. Be sure to get yourself well educated before investing. There are no sure things in any investing. Stock Symbol: SLW, Silver Wheaton Corp.